OMG MarryYouMe just tipped off its readers that these shoes are $50, dyeable, and actually comfortable. 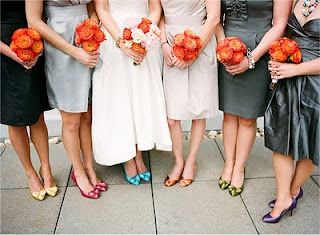 I mean - yes, they're great for bridesmaids - but even greater for you if you have a number of weddings to go to! Dye away!